Have you discovered God’s dream for your life? It’s never too early or too late to discover God’s dream for our lives. The Scriptures tell us that His plan for us is rich and rewarding, but it’s always an adventure filled with twists and turns. 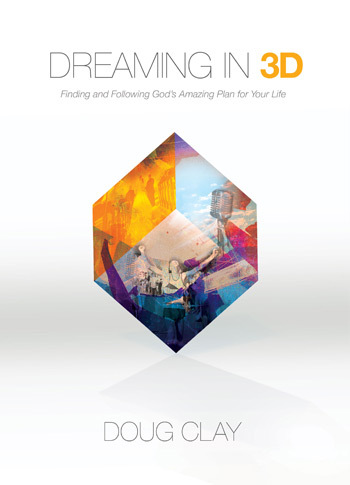 Too often, disappointments and distractions push us away from God’s best, but in Dreaming in 3D, Doug Clay helps us stay on track. God gives each of us unique experiences, relationships, and talents to equip us. In fact, God will use even our failures to teach us life’s most important lessons, deepen our faith, impart wisdom, and strengthen us so we can make a difference in other’s lives. This book inspires us and challenges us to find and follow God’s dream. Doug also provides questions at the end of each chapter that will create thoughtful discussion in a small group setting.